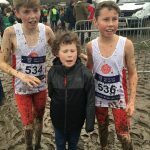 Mud, Mud and more Mud was the order of the day for the athletes at this years Inter-Counties Cross Country Championships held at Prestwold Hall, Loughborough. 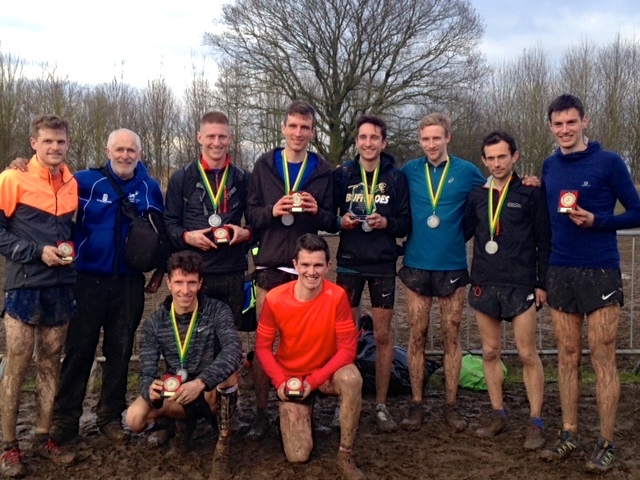 The Lancashire Senior Men had a great day, winning Silver in the six man Team and taking Gold in the nine men Team Championships. 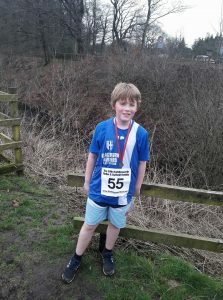 Next home for Lancashire came Oliver Lockley in 18th place in a time of 45.00 with 3rd counter Blackburn Harrier Chris Arthur taking 25th position clocking a time of 45.33. Chris, like the other athletes was really pleased with the results on the day and commented to the Club he could “only really echo what Tim and Rob have said. It was great to be part of such a strong team, especially as it’ll be my last time with Lancs. I think all of us who ran last year improved on those results so you can’t not be happy about that! 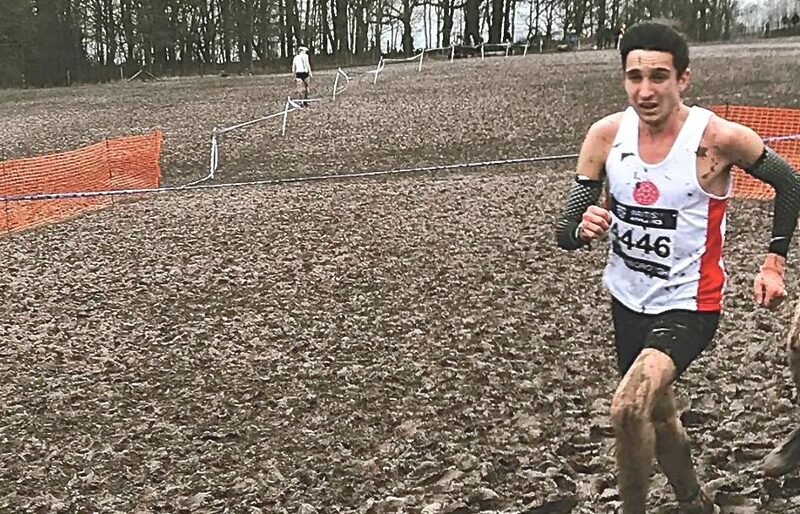 Rob had the run of the day for sure in my eyes; top ten for him next year!” Gary Priestley was next through the line for Lancashire placing 37th in 46.19, followed by 5th counter Chris Livesey in 42nd (46.31). 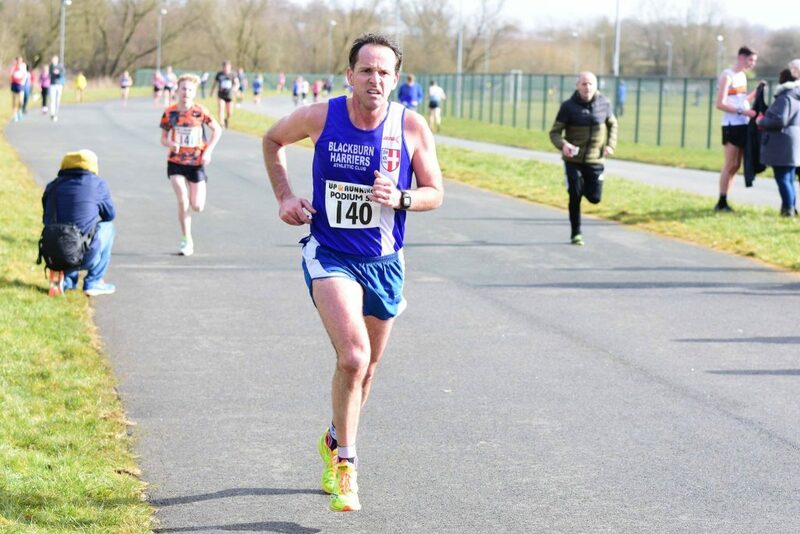 Tim Raynes completed the team for Lancashire with a 6th counting place of 47th and clocking a time of 46.49, a run which Tim described as one of his best in the event. 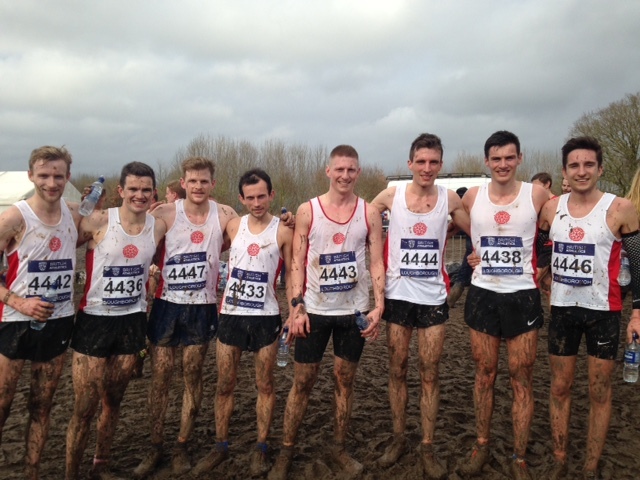 Afterwards Tim told the Harriers that he was “Still buzzing now after a fantastic team effort! I knew we stood a good chance in the 9 man team before the race, but to come second in the six man team and so close to gold was a fantastic result. Well done to Rob and Chris, who both absolutely smashed it! 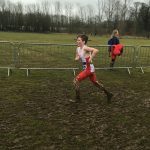 I felt like I had a pretty solid race, perhaps my best ever cross country race. I got a decent start, and then just managed to keep on gradually moving up through the field. I started to become aware of how close we were as a team during the last mile. Knowing every place mattered, I gave it all I could to gain a few places. 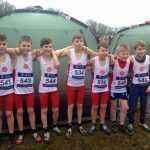 A fantastic team effort, and a pleasing individual performance to finish 40 places higher up than last year”. 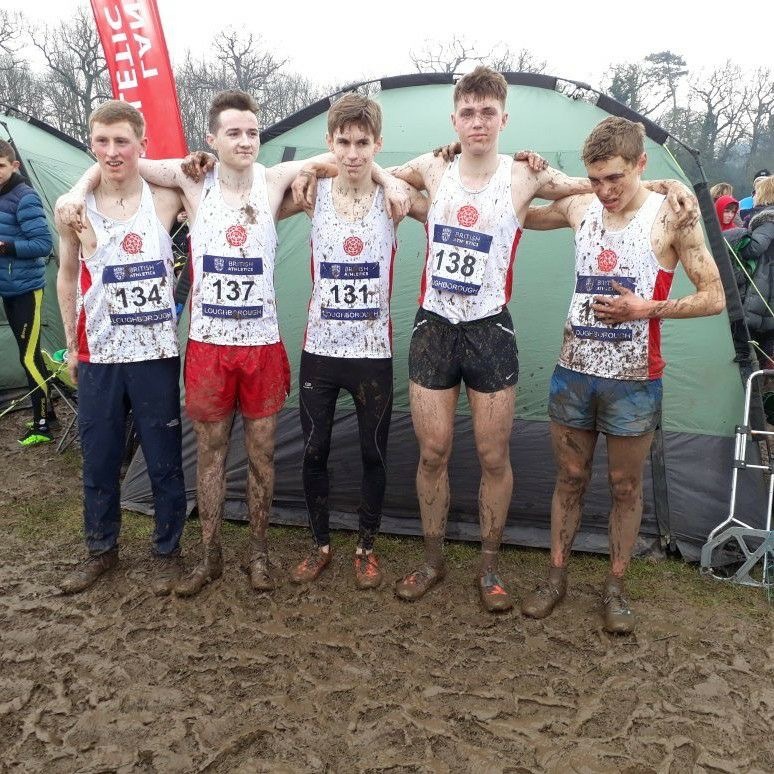 Having won the Silver Medal in the six man team race, they went on to win the Gold Medal in the nine man team race which saw Callum Davidson finishing in 57th with a time of 47.08, Alan Corlett in 74th (47.39) and Robb Webb in 110th (48.47). Congratulations also to Lancashire’s Senior Women Team who took the Silver Medal behind Surrey who won the Gold. 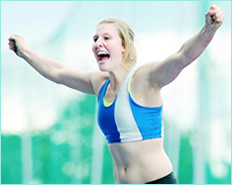 Lancashire’s Team featured Sarah Astin in 8th overall (34.06), Katie Hewison 10th in 34.14, Rachael Franklin in 30th (36.06), in 49th place Carla Davies (36.39), Nichola Jackson 57th clocking 37.13 and Ruth Jones in 67th place 37.43. 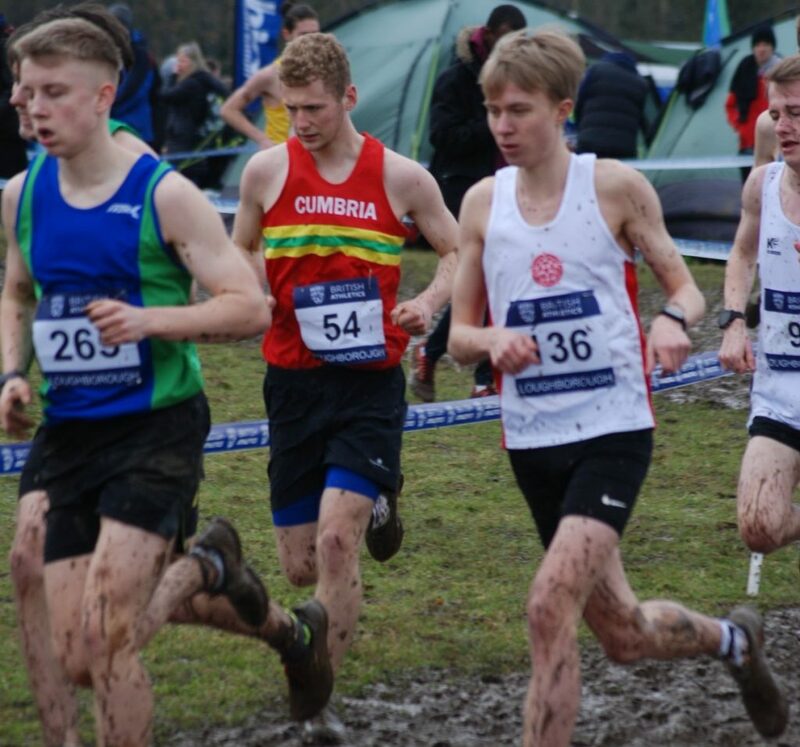 Lancashire placed 10th in the U20 Men’s Race with Thomas Marchant in 108th place in a time of 35.03 and Nicholas Smith 159th (39.20). 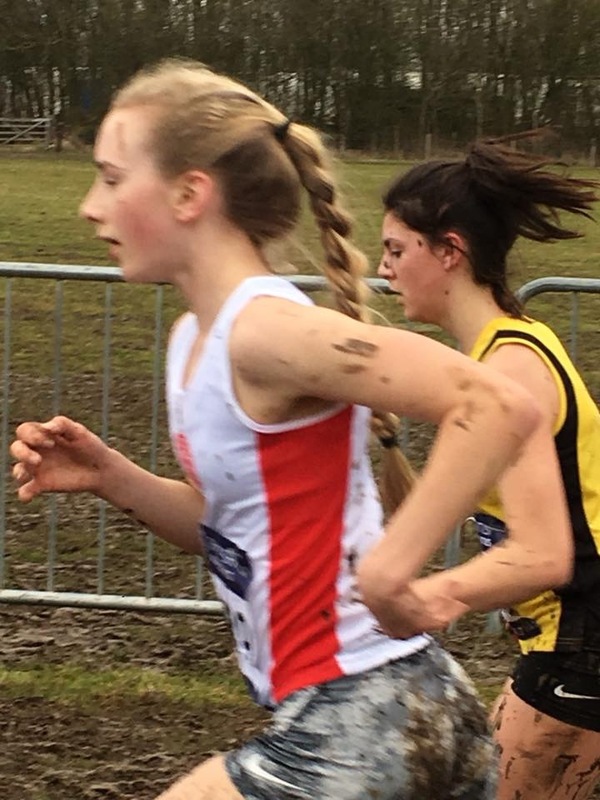 It was 13th in the U20 Women’s Race, 14th in the U17 Men’s and 20th in the U17 Women’s Races which saw Maddie Elliott finish 3rd counter for Lancashire as she placed 104th in the two hundred and seventy eight strong field, clocking a time of 26.08.After the Race Maddie told the Harriers that she “really enjoyed running in the Inter-Counties on Saturday, especially in all of the mud. Disappointed with my position but hopefully can improve on that at English Schools next week. 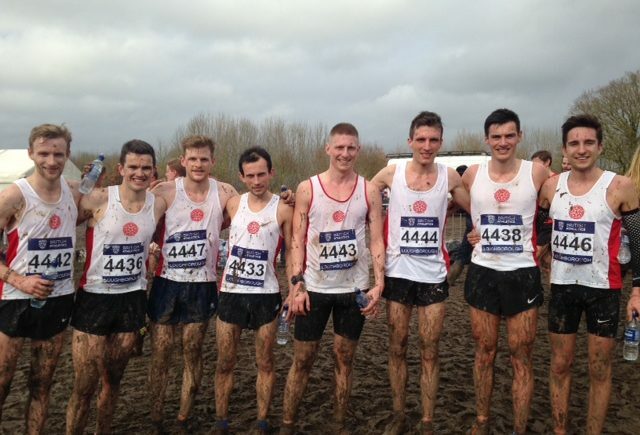 Well done to everyone else and the Harriers”. 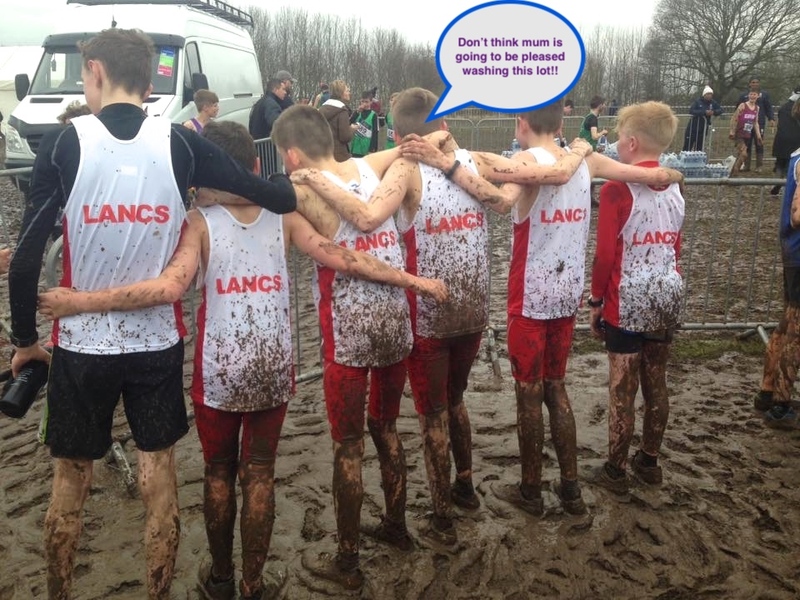 The U15 Boys had two Blackburn Harriers representing Lancashire who finished 7th Team out of 42. 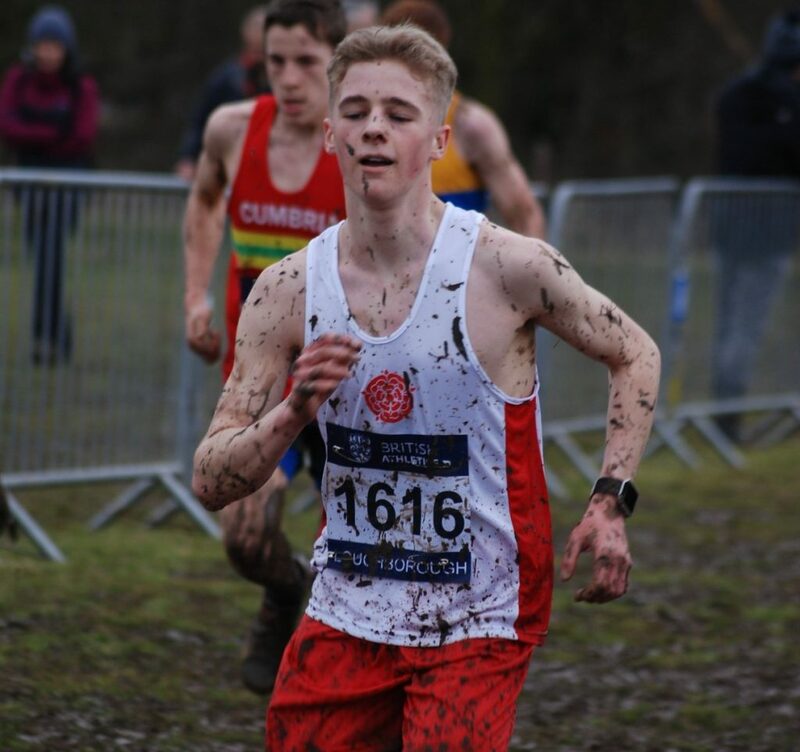 Matt Ramsden was the 2nd counter for Lancashire in 42nd in a time of 19.16, Joel Taylor being the 1st in 20th (18.51). 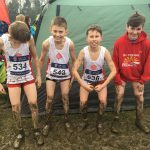 Max Cunningham was 3rd in 55th place and Rhys Ashton 59th. 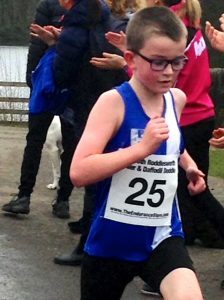 Sam Hodkinson, the second Blackburn Harrier selected for the County was the 5th placed Lancashire athlete in 88th position in a time of 19.56. 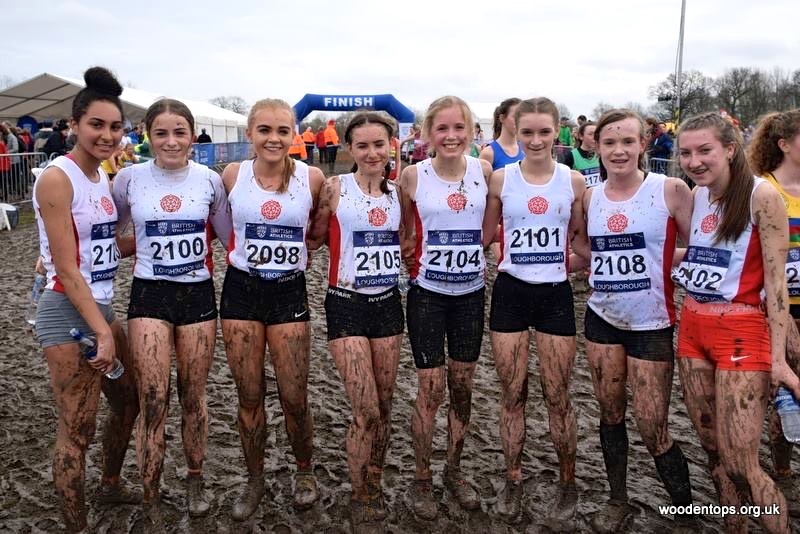 The U15 Girls Lancashire Team finished 29th out of 42 and saw Blackburn Harrier Eleesha Charnley pull on the Lancashire Vest once again finishing 202nd out of 304 athletes competing (22.54) and 5th Lancashire runner home. 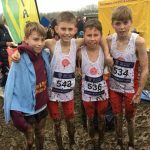 Blackburn Harriers had five athletes selected for the Lancashire U13 Boys Team who placed 18th out of 42 with the Harriers taking three of the first four counting positions. 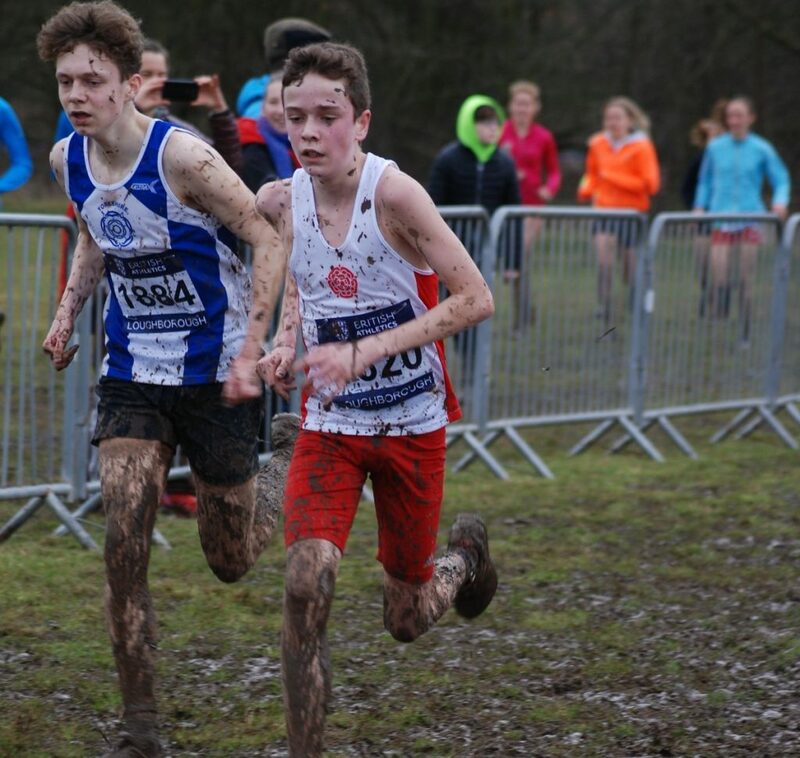 Having a great cross country season with cracking runs at the Northern and National Cross Country Championships is Isaac Butler who placed 29th overall in a time of 13.26 and was 1st counter for Lancashire. 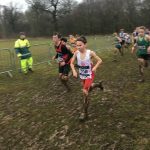 Second counter was Tobias Swarbrick in 47th (13.30) with Blackburn Harriers David Holman 3rd counter in 133rd place (14.20) and Kyle Taylor-Pomfret 4th counter in 138th, just one second further back, clocking 14.21. 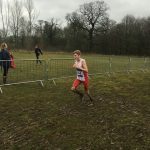 Robbie Smedley finished 5th counter (160th in 14.30), Joseph Ormerod (227th) in 15.01, Blackburn Harrier Dexta Thompson 254th in 15.14 and Connor Fletcher 281st (15.41). 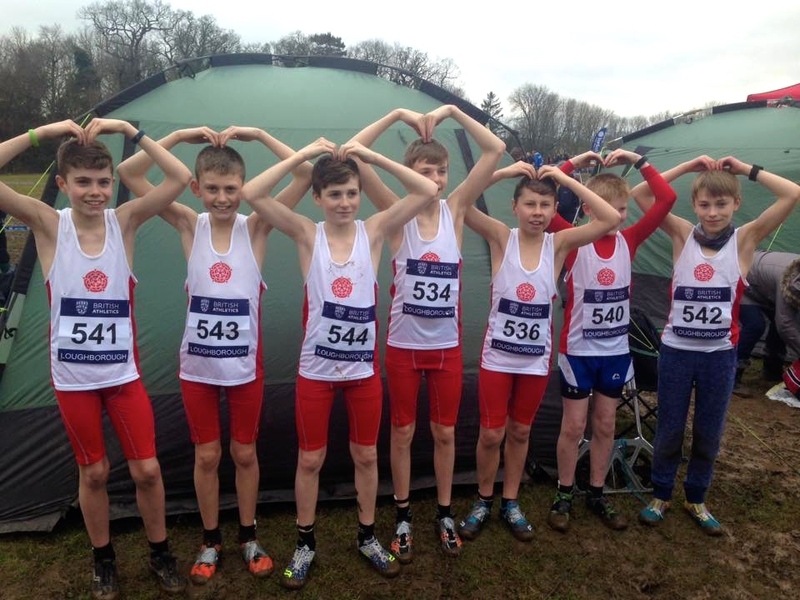 AND THE U13 BOYS DANCE VIDEO! 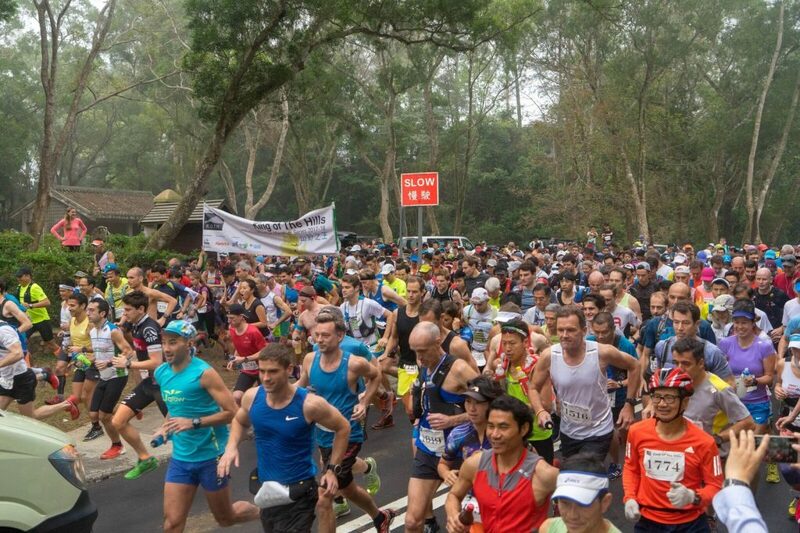 It was the final race of the latest King of the Hills Series which featuring hundreds of runners tacking pretty tough races over a four month period. V55 Bob Shorrock has had another great season in these Races winning all three in the V55-59 Age Group. 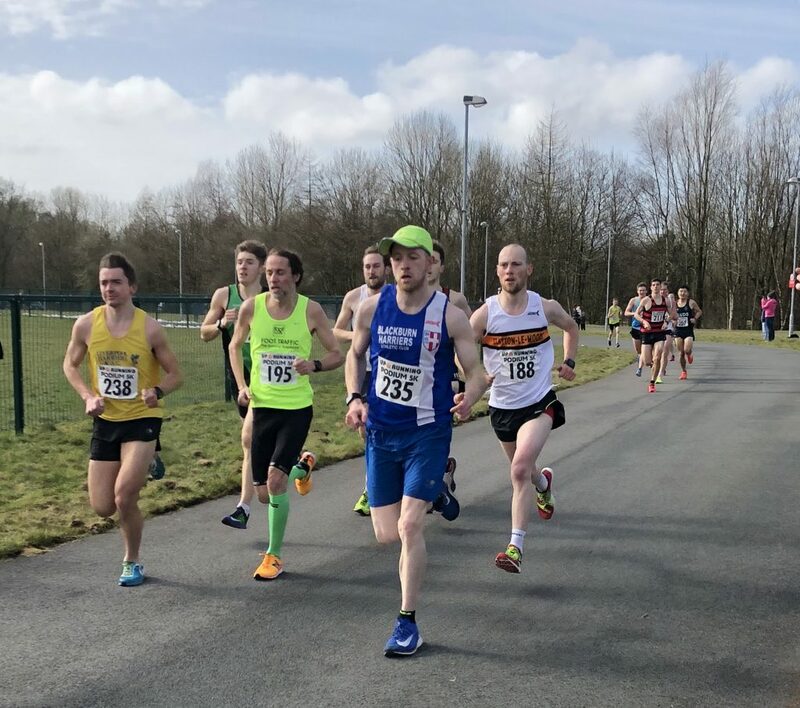 In January Bob finished 7th overall in the Race and 1st in his Vet category in a time of 4hrs 16.37, then in February came 4th overall in a time of 3hr 53.00 and again 1st in his age group and went on to make it a hat-trick of wins in March with a 3rd placed overall finish and 1st age group winner clocking 2hr 16.05. After the March Race, Bob spoke to the Club about the Race which was changed at the last moment because of the weather conditions. “It was the last KOTH of the season last Sunday. 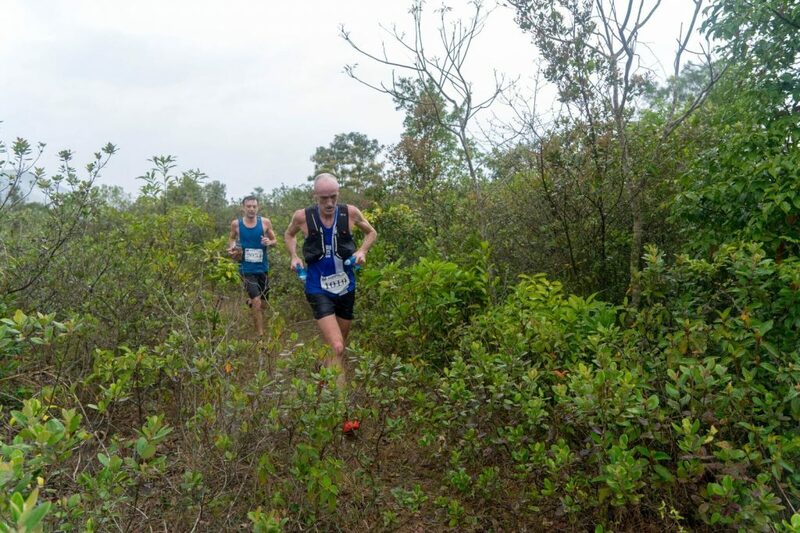 The race was scheduled for 37K, 1800m of elevation gain but due to Thunder and Lightning warnings for the mountains the course was changed and we had about 24- 25K – with only about 900m of elevation. 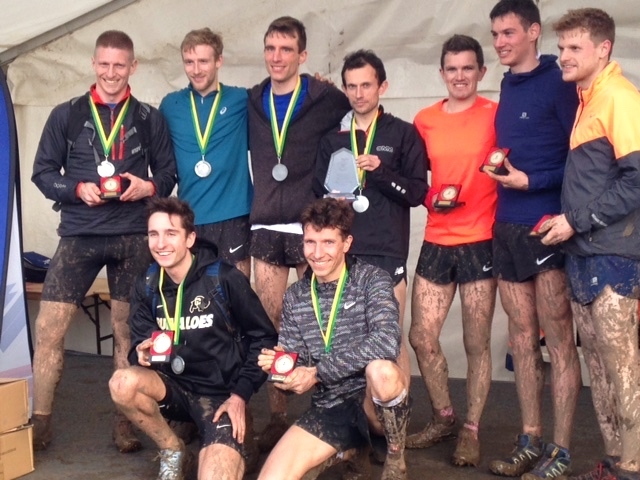 I was 3rd overall and 1st in my age group so very pleased with the run (although a few of the top guys were missing due to a 100K mountain race in Hong Kong the day before). I felt good for the first 20K but ran out of steam in the last few K. It was the first hot and humid day (25C and 90%+ humidity) and it seemed to affect me more than usual. Will get used to it in the coming weeks”. 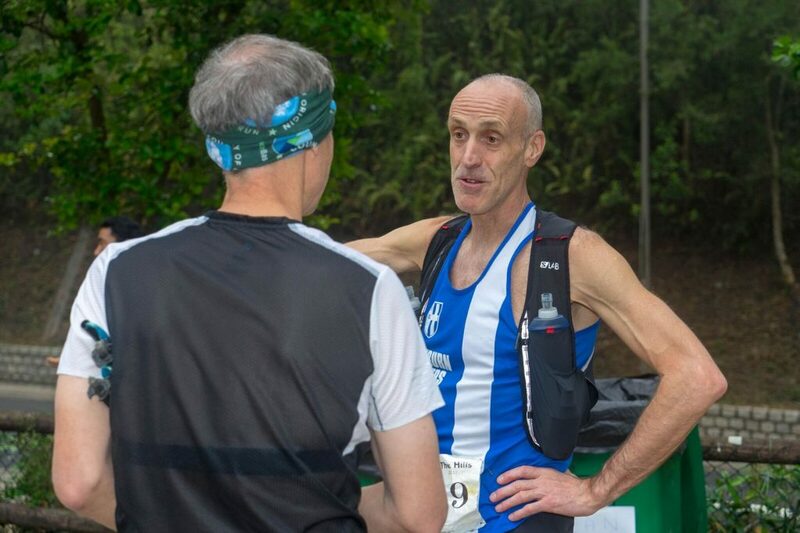 Bob’s next target race is the Mont Blanc Marathon (42k) on July 1st and there is little doubt that he will be a force to reckon with there too. 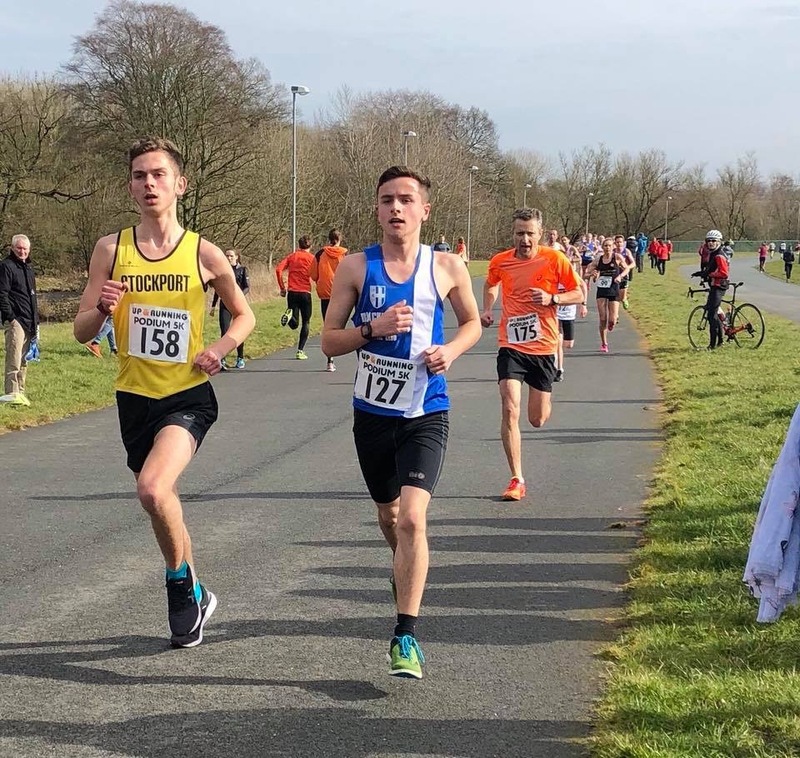 Two races at the latest Podium 5k with the ‘A’ Race attracting sixty six athletes and the ‘B’ Race fifty eight producing some excellent racing and times. 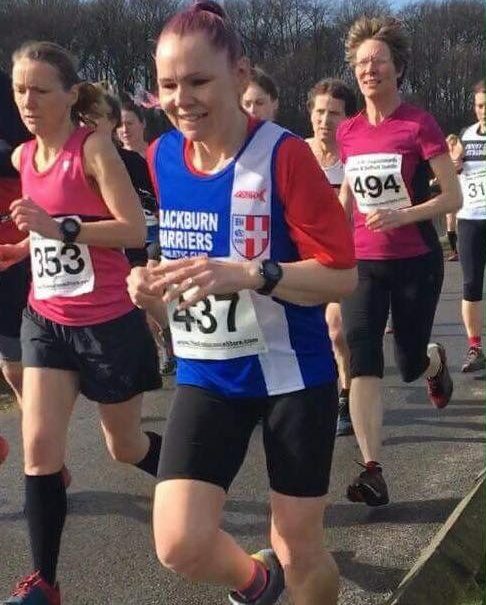 New Race Records were set in the ‘A’ Race won by Mohammad Abu-Rezeq in a time of 14.24 and by Laura Weightman, winner of the Ribble Valley 10k Race, who set a new Race Record with a time of 15.25. 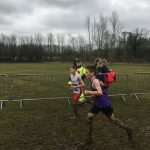 Ben Costello came home in 42nd spot with a time of 16.12 which was just six seconds shy of his personal best with V45 Mat Nuttall 50th place (16.43) and 2nd V45 followed in by Karl Billington in 61st clocking 17.14. 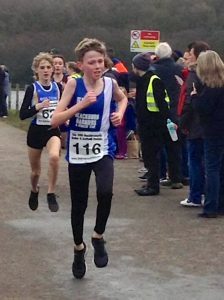 Paul Guinan ran in the ‘B’ Race to place 11th overall and 1st V40 with a time of 18.03 along with U15 Harry Wilkin who set off a bit fast and had to hang on to come home in 32nd spot with a time of 19.29. 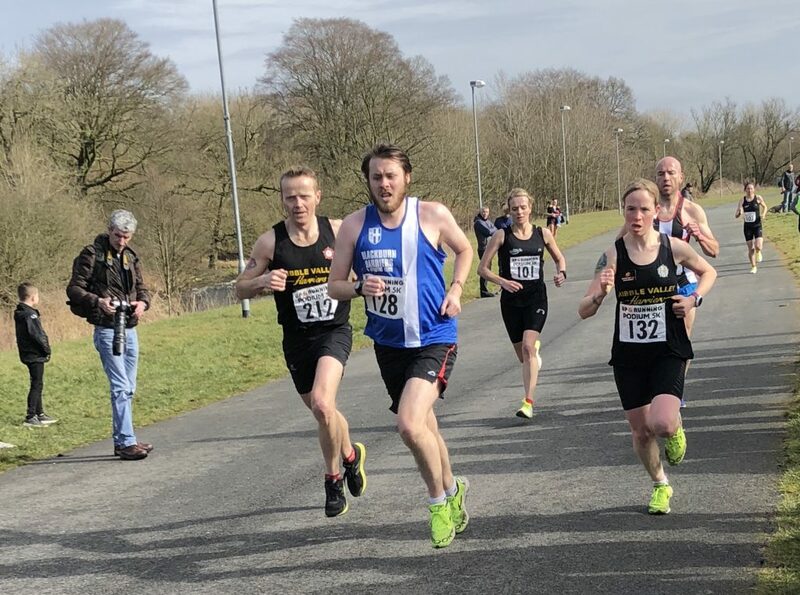 Chris Davies had been second in the previous two years at the Roddlesworth Roller and wanted to make it third time lucky in this Race which attracted two hundred and sixty six runners. Chris did just that winning the Race in a time if 33.19 in front of Keith Knott and Nick Leigh in 2nd and 3rd places. 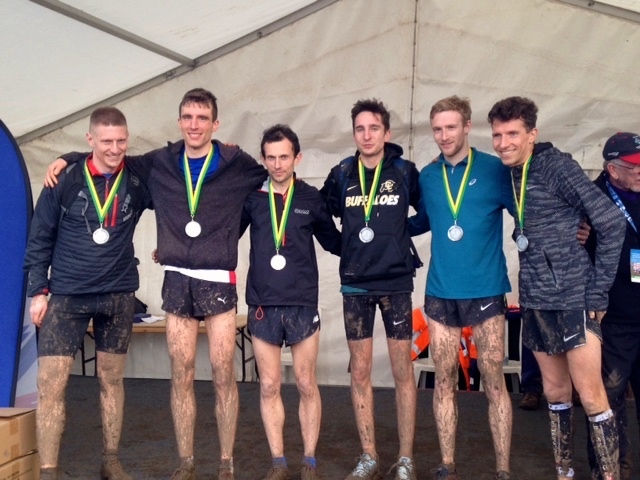 The Harriers with four runners in the top ten, also won the Team Race on the day with Chris Davies 1st – backed up by Gary Vose in 6th spot running a time of 35.24, Jacob Watson in 8th clocking 35.43, John Horrocks in 10th place (36.00). 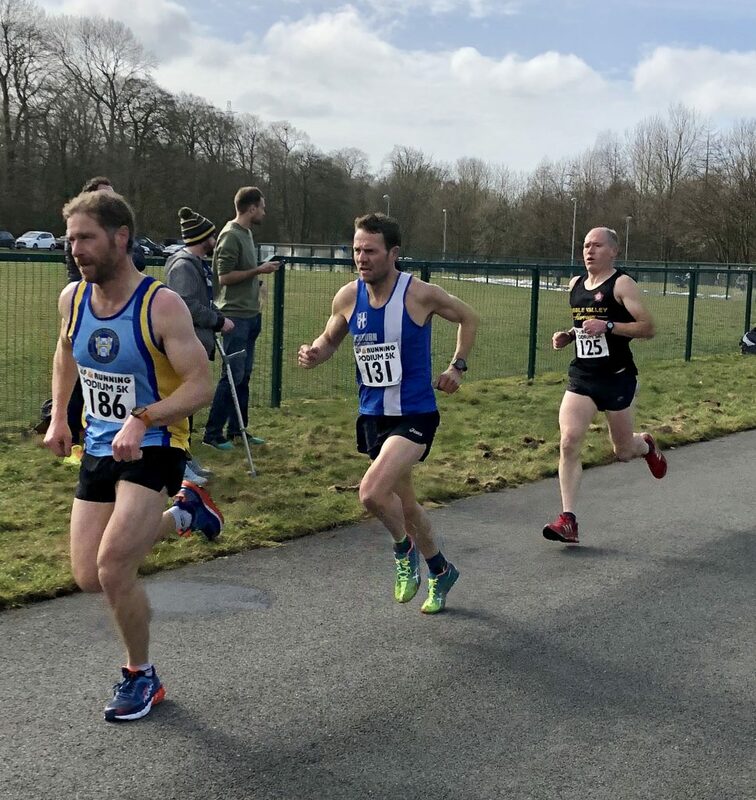 Danny Maynard was the next Harrier across the line in 25th position (39.00) followed by John Cookson in 50th (42.40), Lindsay Davies (84th) in a time of 45.58, Paul Wilkinson (242nd) in 64.14 and David Morris 247th with a time of 66.34. 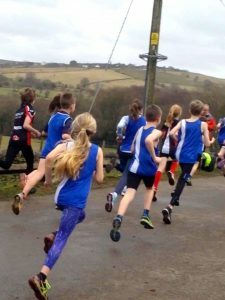 As always, the Daffodil Doddle attracted a big field of youngsters – one hundred and thirty four in all – with a number of the Harriers Juniors competing. 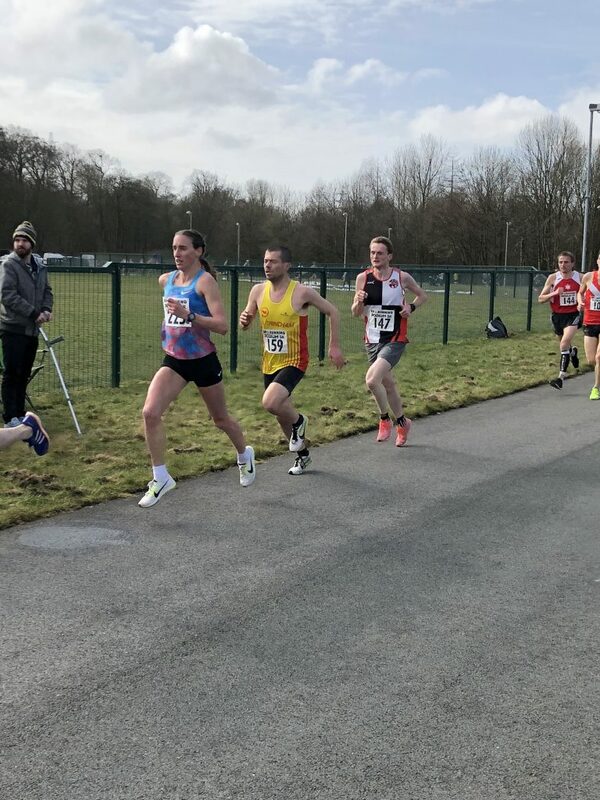 Daniel Smith was first Blackburn Harrier home in 9th place (8.30) with Oliver Gill not far behind in 15th (8.44) and followed in by Hannah Davies in 46th place with a time of 9.43 and Harry Wilkinson (82nd) in a time of 11.40.